Saturday’s Fourth Round FA Cup clash between Sunderland and Kidderminster Harriers will be their first meeting in their history. Read on for my preview and prediction including betting odds. 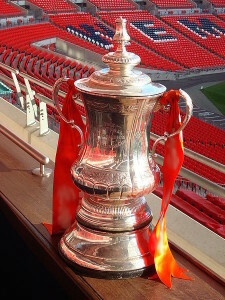 In their Third Round FA Cup match Sunderland came through with a 3-1 home win over Carlisle. Their recent home form has been quite good with only one loss in their last six matches, which include 2-1 wins over both Chelsea and Manchester United in the Capital One Cup. At the moment Kidderminster are comfortable in the Blue Square Premier where they are in sixth place with a 14-3-9 record to give them 45 points. They also have a +7 goal difference with their 44 goals scored and 37 allowed. In the FA Cup they have gotten to the Fourth Round by going unbeaten in their previous six matches. They have played Bradford PA away to a 1-1 draw then advanced with an extra time home win in the replay. This was followed up by two home wins 4-1 over Sutton United an 4-2 over Newport. In the Third Round they faced Peterborough at home and played to a 0-0 draw before advancing thanks to a 3-2 away win in the replay. If Kidderminster can pull off a shock draw or, even more shockingly, a win, then it would be the biggest result of the tournament this season. My initial pick was a comfortable Sunderland win, however, that was before the marathon Capital One Cup win on Wednesday. While they should still be able to come through this unscathed there is still the fact that they played 120 minutes plus penalties just three days before. Even with changes made Sunderland should be favorites, but tiredness could be a major factor in this match. TV: U.S. television coverage starts Saturday at 10:00 am on FOX Sports One. No U.K. broadcast.